Five to six children step inside a whirlwind of flying balloons and enjoy the elements of color, motion, touch and coordination. 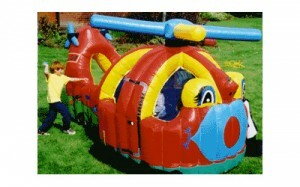 A kid’s dream come true! 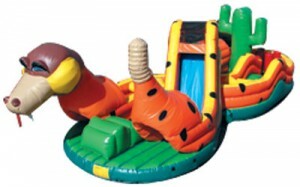 Bounce and play in this land of candy and make your way down the gingerbread themed slide! Tunnels, climbs, and slides… oh my! Our Fun Center is packed with bouncing areas, multiple obstacles and tunnels, and two covered slides. This classic pre-school playland is the ultimate circus experience for small children. Toddlers have a fun and safe environment to play and mingle in a circus setting. 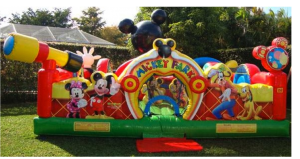 There is a slide and even 3 small cubicles for kids to jump and play. 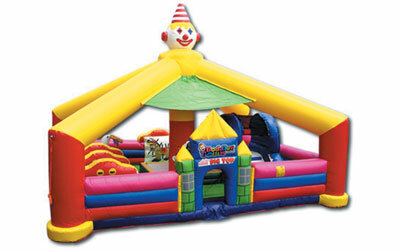 Description: We bring the circus to YOU with our brand new Circus World toddler zone! 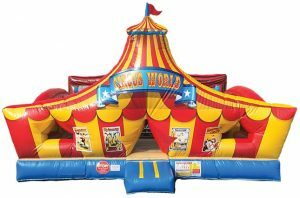 Enjoy a jump under the big tent- themed moon bounce to explore the circus experience at your next event! Eight children explore a 100ft of tunnel adventure. Large viewing panels throughout create a perfect setting for an exciting game of hide and seek. Averages over 160 children/hour. 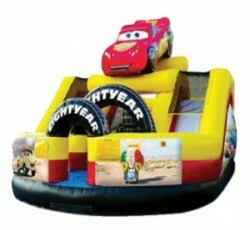 This amazing inflatable features an inflated floor and TWO slides! 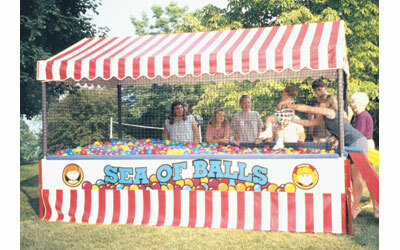 The pop-up animals and obstacles along the path make this great fun for any event. 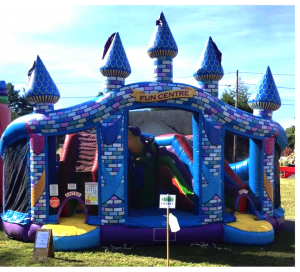 This walk through obstacle course has everything you would expect in a fire truck including a slide, dalmatians and even a fire fighter attached to the outside to touch and hug. Three! Two! One! Take-off! This spaceship is full of craters, caverns, spikes, tentacles. 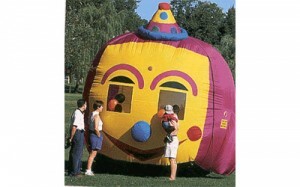 Walking on it’s inflated floor, kids are sure to have an out-of-this-world experience. 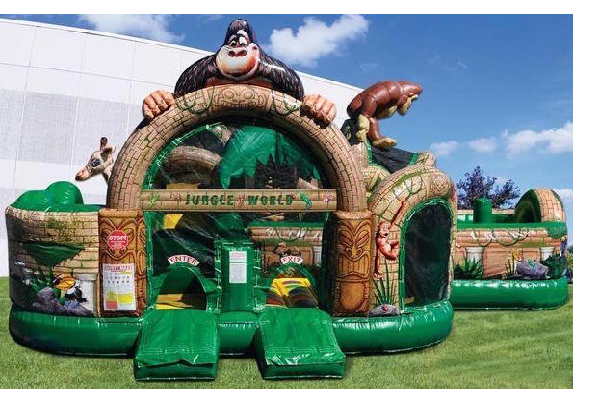 Take part in this action-packed 55 foot long obstacle course to escape the giant gorilla by scaling the magic mountain and sliding down the blue lagoon waterfall. Up to 5 children enter into this helicopter equipped with a twirling, twirly bird design and plenty of colorful plastic balls creates something special for the small child. 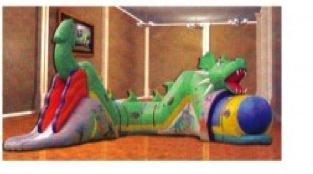 Slide into our friend of the sea and make your way through all the obstacles in this 50 foot long inflatable seahorse. This 12 foot trailer of soft balls has become the small kids favorite. This piece has netted sides and a canopy top. Six children at a time. 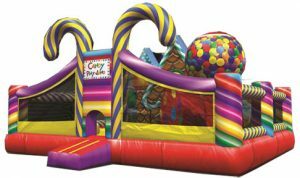 Make your way through the obstacles, around the cactus, up the wall, and slide down the snake’s tail in our figure eight single lane obstacle course.